Are you a game enthusiast? Do you have a special likeness for PlayStation games? If so, I have good news for you: You can now enjoy your favourite PS4 games on your PC, at absolutely no cost. This article brings you short reviews on some of the best PS4 emulators for PC, which you can use to play PS4 games on your PC. 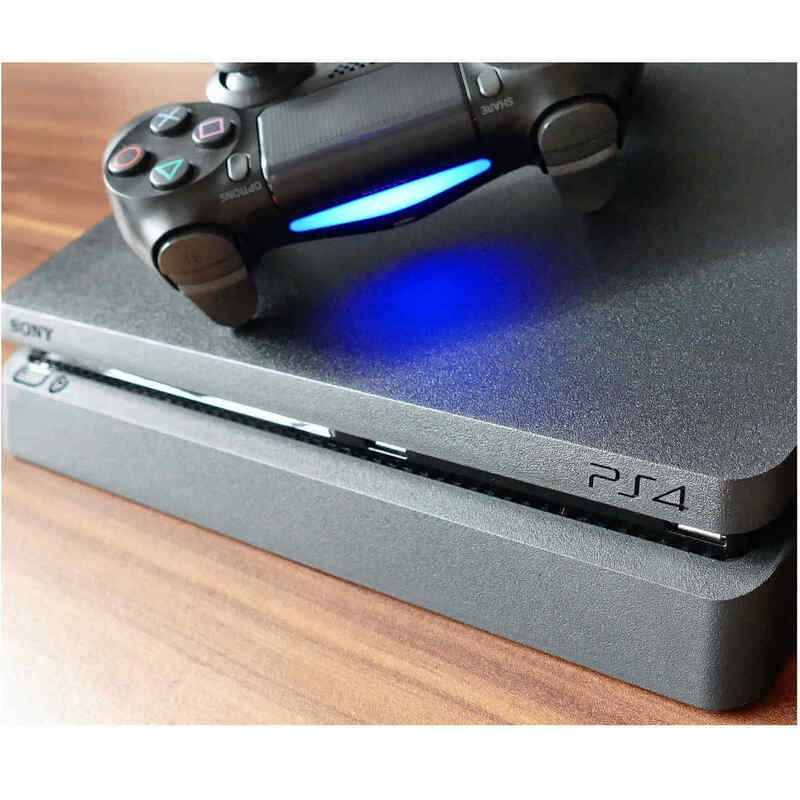 PlayStation 4 (PS4) is arguably the most advanced game console in the market today. It is the eigth model of the popular PlayStation gaming franchise, which has over 80 million users worldwide. However, in terms of portability and affordability, it is not suitable for low-budget game lovers. Not to worry though, as there are now durable emulators that would enable you enjoy your favourite PS4 games on your personal computers, without paying a dime. Although there are still controversies surrounding the durability/effectiveness of PS4 emulators; however, a handful (four) of them have proven their effectiveness. Let us look at some of these PS4 emulators for PC. What PS4 emulators should I install on PC? PS4Emus is probably the best PS4 emulator for PC today. 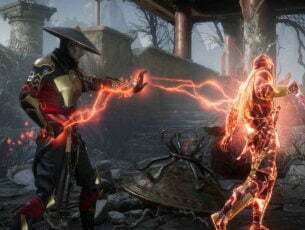 It has managed to rack up a number of positive reviews, in the midst of the raging controversies, which centre around whether PS4 games can be emulated on PC or not. This emulator was initially launched in 2013, and after over half-a-decade of tweaking, upgrade and modifications, the latest update (optimized package) was recently released a couple of days ago. Furthermore, the PS4 Emus emulator supports both desktop and mobile devices, including Windows, MacOS, iOS and Android. This makes it extremely flexible to use and you can easily enjoy exclusive PS4 gaming experience on your Windows PC or even on the go, on your mobile devices. Also, the emulator offers a commendable frame per second (fps) rate, and its graphics and soundtrack are only slightly different from what is obtainable on the original console. Bottom line, you might encounter some lags while playing PS4 games (using PS4Emus) on your PC, but you are less likely to even notice them. PS4 Emus hosts an online server that houses PlayStation games, and you can easily download your favourite games from there or simply play them directly online. The online gaming option, however, requires a stable Wi-Fi (internet) connection. Also, PS4Emus comes with a built-in support for BIOS. Hence, you don’t have to waste quality time and data sourcing for BIOS on the net. Although the graphics, sound system and the overall layout of PS4Emus-emulated games are uniform across board, display quality on Windows PC (desktop) is generally better than what is obtainable on mobile devices. The interesting thing is, all these are offered to you at absolutely no cost. And considering the cost of a typical PS4 console, this emulator sure offers you a real deal, for free. PCSX4 is one of the recently developed programs for emulating the PS4 console on PC. It is a semi open source application that affords you the opportunity to mock (emulate) and play PS4 games on your computer (Windows and Macbook). At the moment, the program has a record of 290,000+ downloads (for Windows) and still counting. Moreover, PCSX4 is compatible with only high-powered computer systems for now. Specifically, the emulator is able to work perfectly on only 64-bit Windows 7/8/8.1/10 and Mac OS 10.13.6 (and higher). Also, your computer must be running on a 4-core processor (or higher), as well as AXV and SSE-4.2 GPU, to optimally support the PS4 emulator. Also, PCSX4 is able to run at a frame per second rate of 60fps, provided you are running a high-end computer that is equipped with advanced GPU system, like AMD Radeon 780 (and above) and GTX 60 (or higher). With this, you can enjoy a near-perfect graphical imitation of your favourite PS4 games on your PC. Setting up PCSX4 on your computer is very easy: All you need to do is to download the program from the source website, extract the executable (.exe) file and run it as an admin, to install the program. Also, you will be required to extract the “PlayStation device identifier” file (.pdix) and link it to your account. After the whole set-up, you can download your favourite PS4 games and enjoy exclusive gaming experience on your PC. 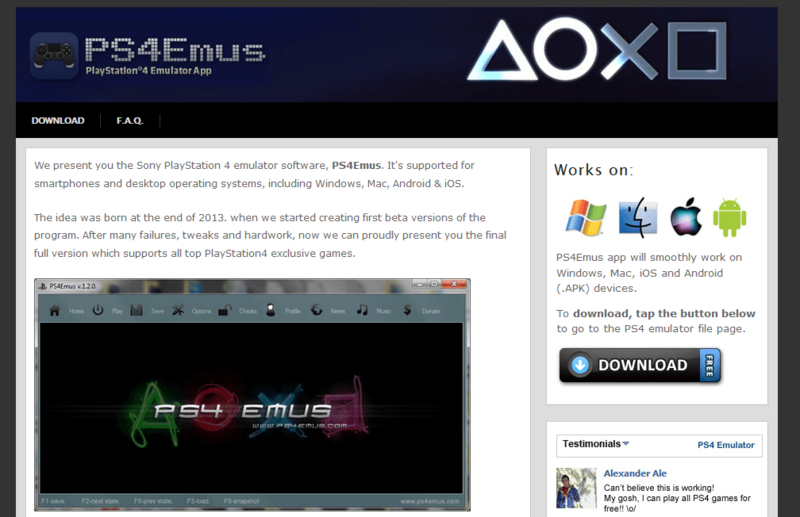 PS4 EMX is a PS4 emulator, which was developed in 2014 by Ghaststeam. Although the program is currently closed (unavailable), its developers are still working toward reinventing it. According to the program’s lead developer, they are currently working on the program’s GUI, for Windows. The finished package is expected to launch any moment between now and the coming years. While the program is currently undergoing redevelopment, not much is made known to the public about its updates, fixes or modifications. Nevertheless, upon completion, PS4 EMX is expected to be one of few available PS4 emulators in the market. So you can wait for it. 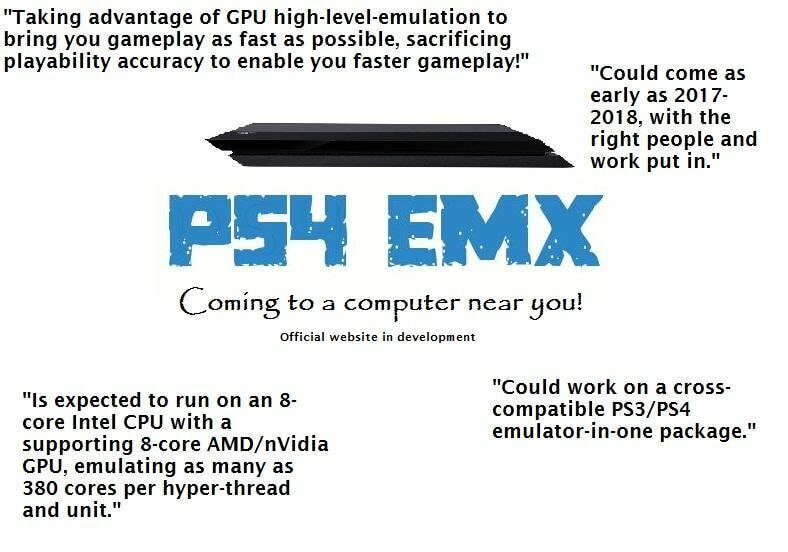 Check out more information on PS4 EMX on SourceForge or GitHub. Orbital is the only “genuine” PS4 emulator that is globally accepted, and it was developed by prominent developer – AlexAltea. However, the program is still under development and cannot be used to emulate commercial PS4 games yet. Nevertheless, significant progress has been made in its build; hence, it makes our list of best PS4 emulators for PC. For now, the program is designed to support only top-end Windows and Linux PCs, with a minimum RAM of 16GB and a PS4-mirrored processor of x86-64 (with AVX extensions). In layman terms, you would need a high-powered modern Windows or Linux computer to effectively run the Orbital emulator. Lastly, Orbital is an open source project, with inputs/contributions from several quarters of the tech community. So if you are a developer, you can contribute (financially or intellectually) to the program’s development here. Check out Orbital PS4 Emulator on GitHub. PS4 is, without doubt, the most advanced game console in the market today. It runs on the powerful x86-64 architecture, which is highly difficult to emulate. As a result of this, there is serious controversy surrounding the possibility of emulating PS4 on PC. However, in the midst of the raging controversy, a host of emulators have been developed, and some are still under development. These sets of emulators stand out as the best PS4 emulators for PC, and we have provided succinct reviews on each of them in this article.